After several months of extensive renovations, the timeless home at 3808 Cedarbrush Drive is now complete and ready for the right buyer. Designed by Demo Dallas’ Jessica Koltun and renovated by TK Homes, it is sure to attract plenty of attention. “We wanted to make the home more what buyers in the area are looking for,” Koltun said. 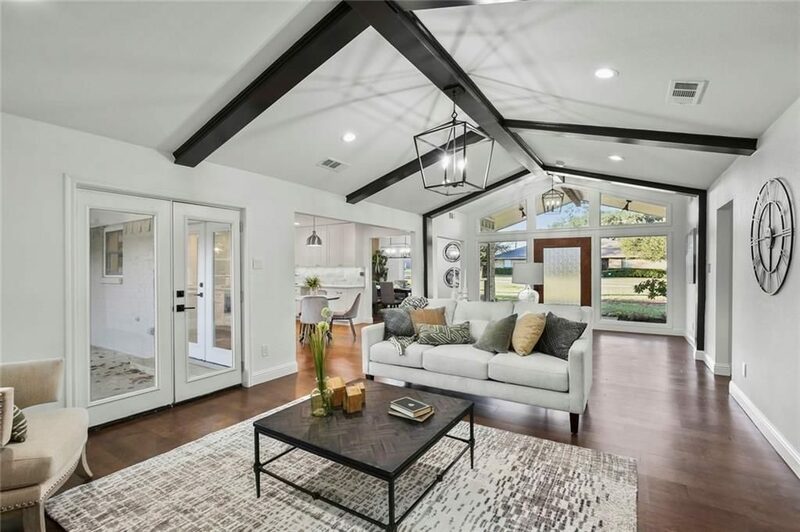 Originally built in 1968, the home has been completely gutted and remodeled. Its layout was also reconfigured to add additional space. The now 2,900-square-foot home features five bedrooms and four baths. The impressive living room has a vaulted ceiling, large fireplace, and a bonus room to the side separated by a barn-style door.